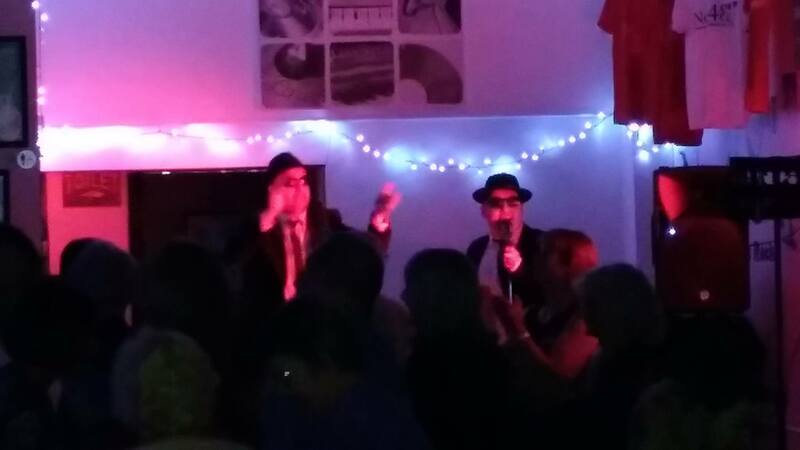 Blues Brothers Tribute & Party Night. Book Now For Great Rates! Blues Brothers Tribute & Party Night is one of the most fun and engaging shows in the uk right now. Brought to you by Ritchie Lee & Andy Burton, this fantastic duo will have you on your feet all night, as you dance away to the classic hits from the film. Andy & Ritchie are two of the best local entertainers, and have now been working together at local venues for a number of years now and the shows just get better. Local critics and members of the audience have said that this is one of the best Blues Brothers Tribute shows they have ever seen. The show has a real wow factor and is full of explosive energy. So Heres how the show breaks down. Andy & Ritchie will have you mooching with Mini, and shaking your tail feather. The Show also brings other great classics such as Mustang Sally, Soul Man, Rawhide, She Caught The Katy, minnie the moocher, try a little tenderness, land of 1000 dances, and many more. All these great hits with lots of fun and laughter along the way as Andy and Ritchie take these classic songs and perform them in a way that only a way that they can. In part 2 of the show, Andy & Ritchie bring you the ultimate party experience. A show has had audiences raving and coming back for more. bringing you party songs from the Proclaimers, Abba, DJ Otzi, The Village People, the Proclaimers and many more. Andy Burton & Ritchie Lee, both have amazing vocals. Put that together with the amazing comic talent of Andy Burton and you have a truly side splitting experience. Book Now! for a great night. Check Out Our Facebook Page Andy & Ritchie Here!